Your special pieces deserve special care. Our years of expertise have been honed to a fine art. 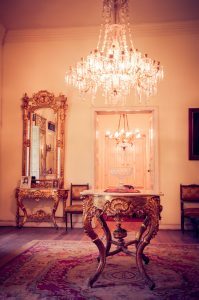 In fact, our services are as artfully exquisite as your antiques, artwork, sculptures, furniture, and more. There’s nothing “off the rack” about Mind’s Eye. Every service we provide is customized to your needs as they relate to your pieces and your budget. Our professional teams work directly with you to determine the best solutions. Then we go about delivering them. When it comes to the very best practices for handling your fine art, we offer all the expertise you could possibly demand. Will you require temperature controlled systems? Heightened security in transit? Relax. Our experts can handle it. In fact, consider us as your own in-house art consultant. And count on us to work with you like a partner, serving your interests and keeping you informed along the way. Mind’s Eye is unique in that we offer a comprehensive experience for our many varied clients. Your most exacting needs are served most artfully by Mind’s Eye. Our clients are as varied as the art we oversee. 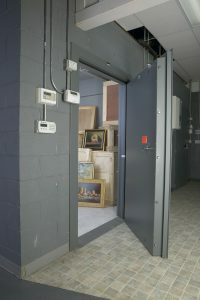 Museums and curators may call upon us to provide short-term storage during site renovations or exhibition changes. Private and corporate collectors often seek us out to house exhibitions. In short, when it comes to showcasing, storing or moving delicate, valuable artwork, we understand all of the complexities. Our level of experience and attention to detail allows us to work with some of the most discriminating art collectors from around the world.